Grant Harnesses have comfort, convenience, and safety as our top priority. 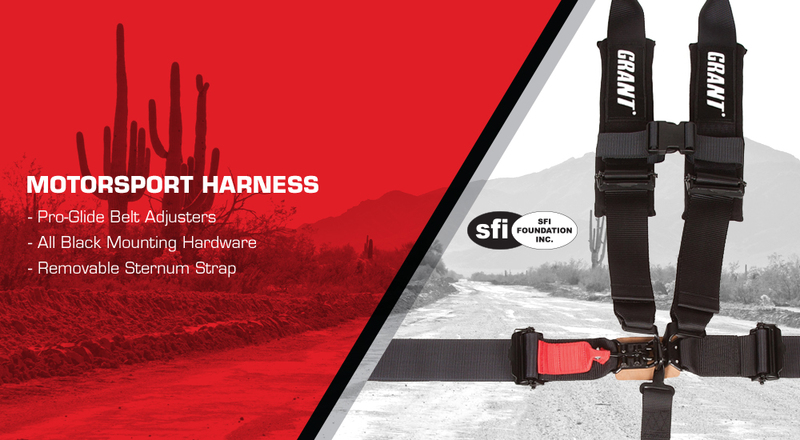 With 5 Point Harness Belts meet SFI Foundation Requirements. Using a universal fit for almost any vehicle. Each belt comes with installation guide. The user of this product assumes all the risk and responsibilities for its intended use. 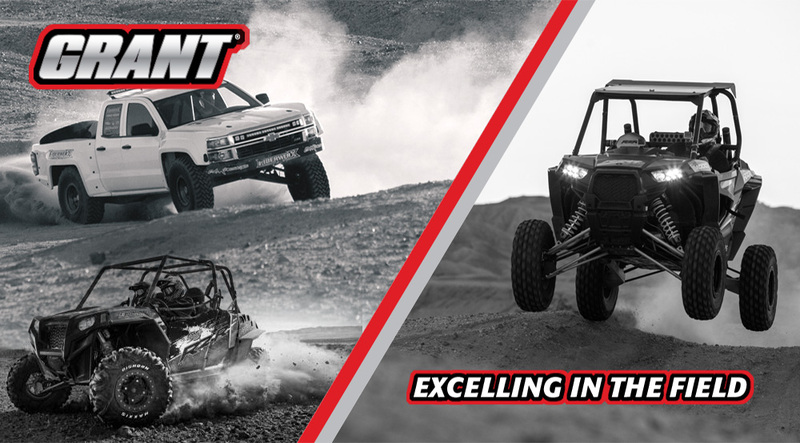 Racing and other Off-Road activities can be extremely dangerous and products are subject to failure when used in high stress environments. 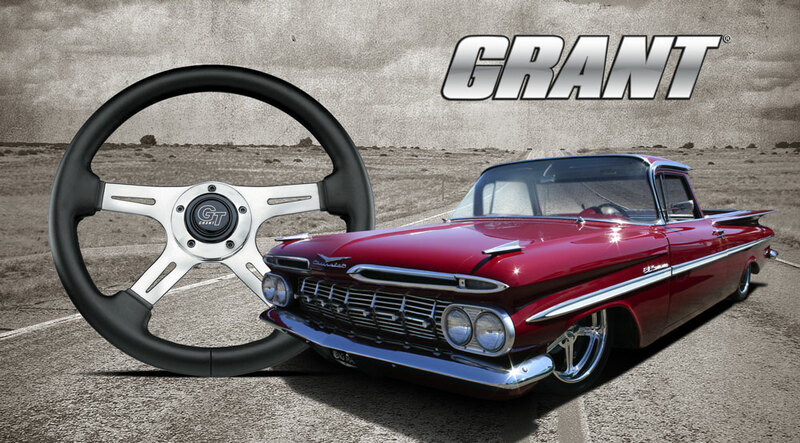 Grant Products International releases complete line up of new "Suede Series" wheels for all drivers. 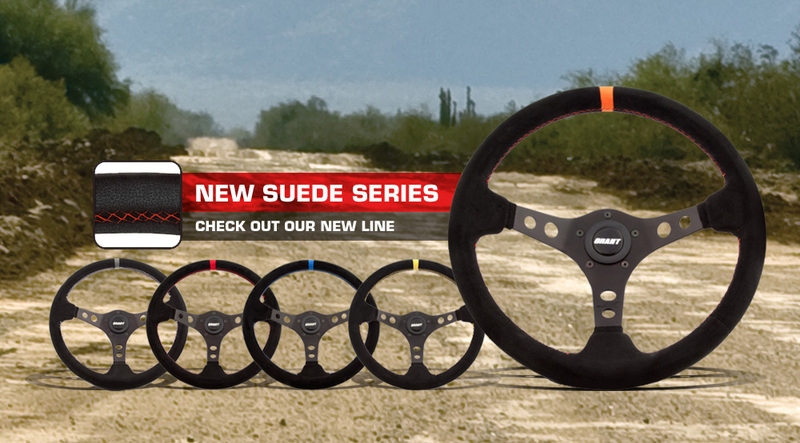 The "Suede Series" offers each driver premium suede wrapped wheel, hand stitched custom colored thread, and a contoured grip for the ultimate comfort and performance. Grants "Full Hoop Design" along with other key components makes it the most reliable wheel on the market. 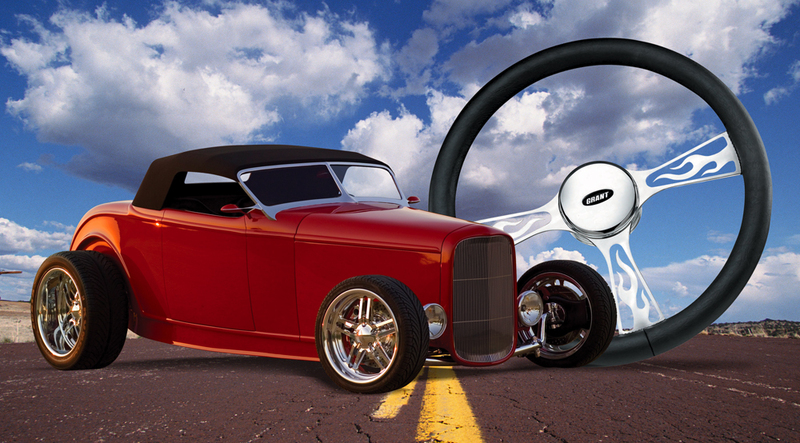 Grant's got just the right fit for that Street Rod or Custom Car project you are working on. Our Heritage and Banjo wheels feature a modular spoke design. This allows you to remove the rim from the spokes and custom wrap or paint the wheel any way you want: the ultimate in customization! A Grant wheel is a badge of honor. It makes a statement. "If you think this wheel is cool, wait til you see what's under the hood". From foam to chrome Grant's got you covered! 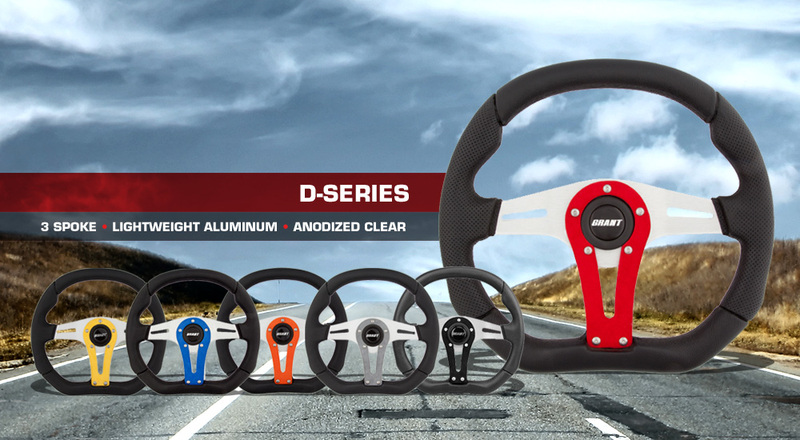 Grant Products International is featuring a line up of "D-Series" wheels for all drivers. The "D-Series" is offered in a choice of six different colors wrappred with an ultra suede vertical spokes. These unique lightweight aluminum wheels come in a three spoke design with the strength to withstand the wear and tear of the most aggressive driver. These 13.75''x11.75'' wheels feature a contoured polyurethane grip, a 1.5'' dish and a Grant horn button. How have you been treating your lady? Well if she doesn't have a new Grant wheel then it's time to treat your lady right. Your Classic ride is missing something. She's been trying to tell you.. Listen carefully the next time you see her. She'll tell you she wants a new Grant Wheel driving her! Our timeless Nostalgia designs will have her purring all the way down the road. So c'mon, step up, and give her a Grant! 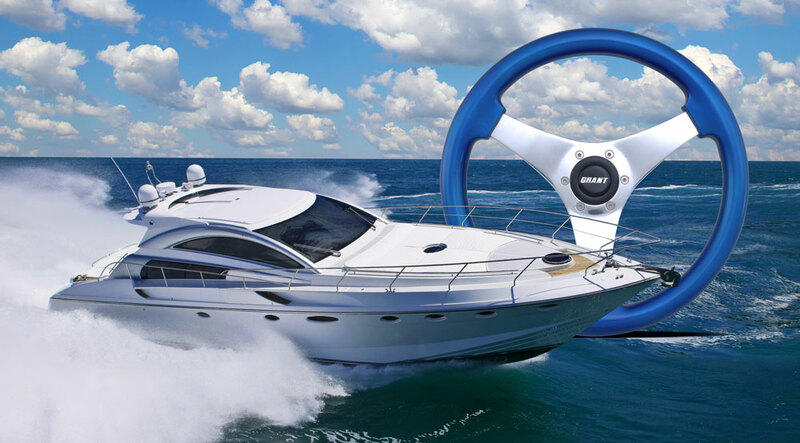 You enjoy the water and you are looking to set your boat apart from all the rest. Give your boat a personality of its own, give it a Grant. Grant’s designs run the gamut from timeless to modern cutting edge classics.